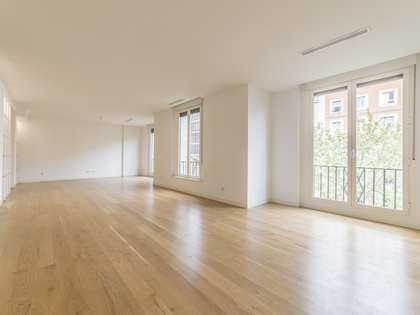 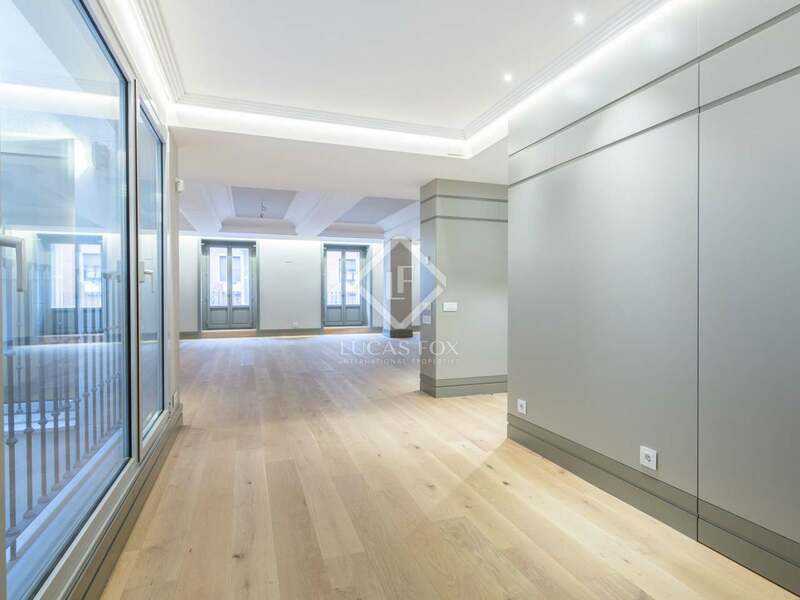 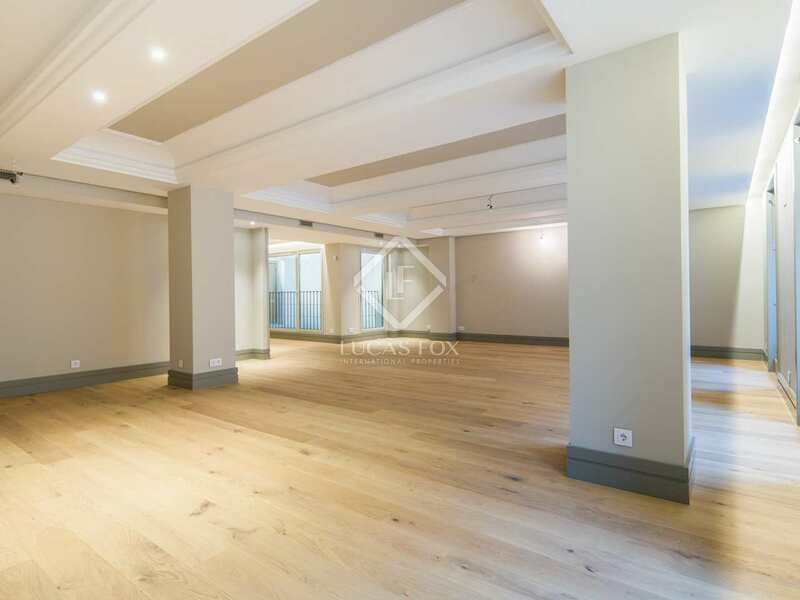 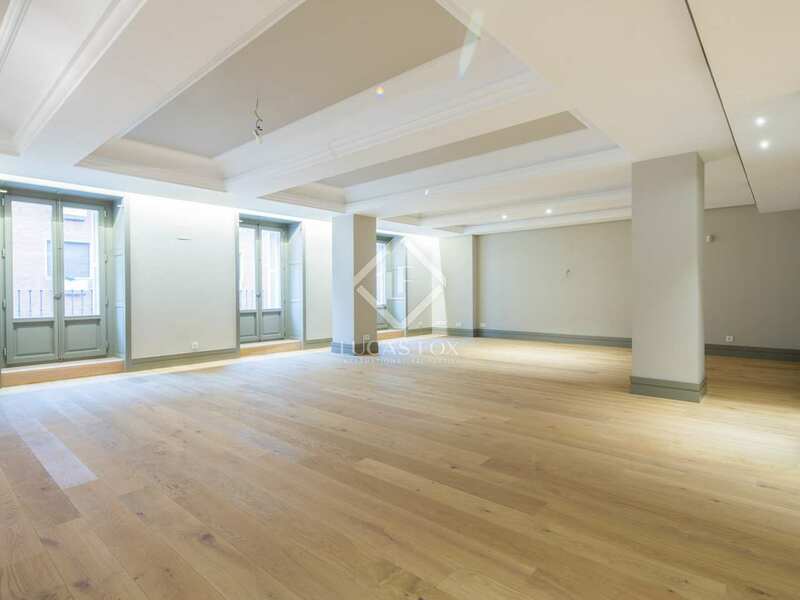 This newly-renovated, spacious apartment with 3 street facing balconies is to rent in Jerónimos, Madrid. 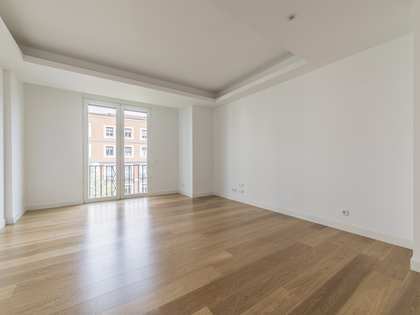 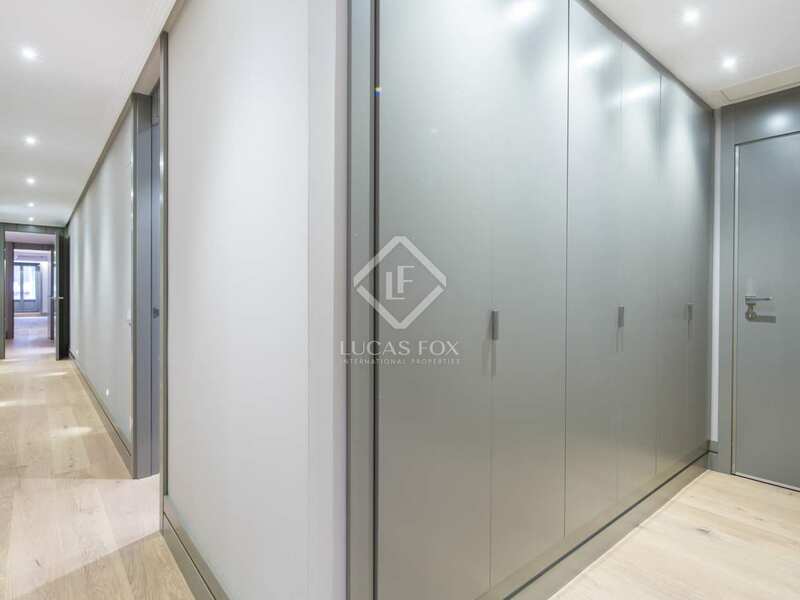 This beautiful apartment is located just a short walk from the wonderful Parque de El Retiro in one of the most emblematic and desirable areas of Madrid. 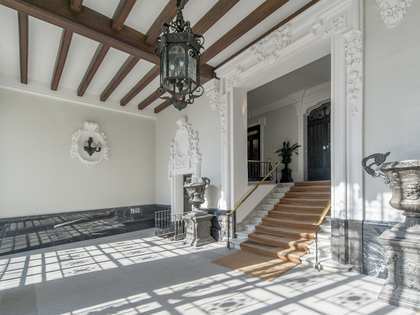 It can be found in a charming period building with a lift and concierge service that has retained its original façade. 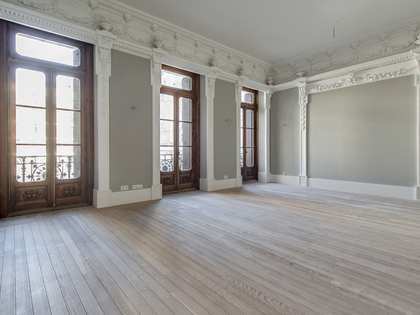 The apartment has been recently renovated whilst keeping some of its classical features such as the high ceilings. 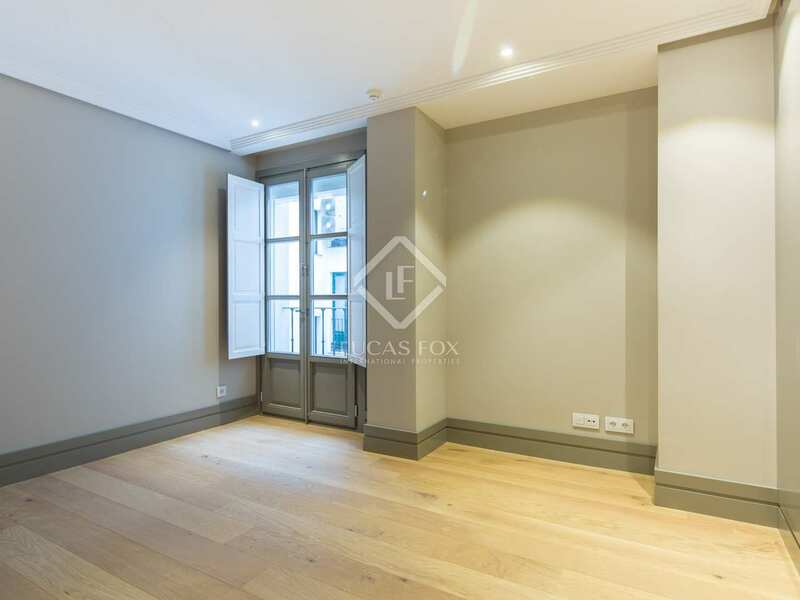 The apartment is made up of an entrance hall, an 80m² living-dining room with bay windows and street facing balconies, and also a fully-equipped kitchen with a service bedroom and bathroom. 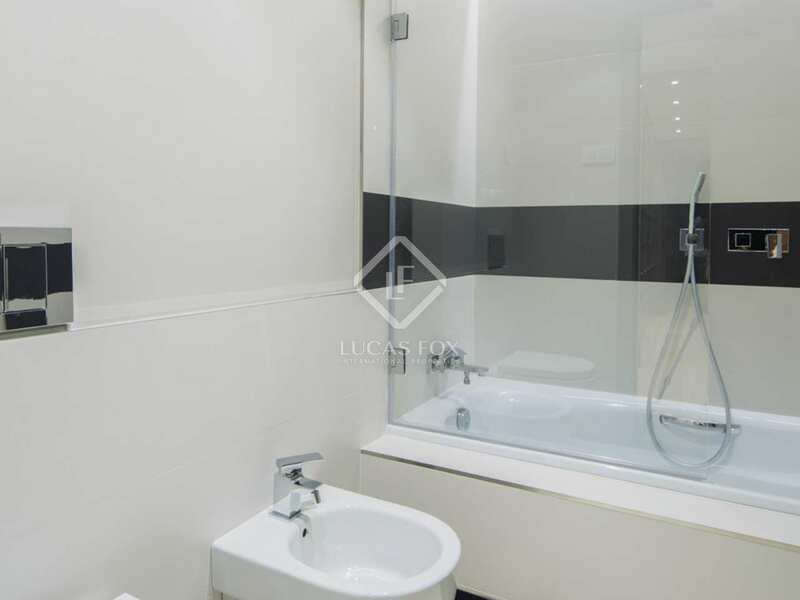 The night area of the apartment consists of 2 en-suite bedrooms as well as 1 further bedroom and bathroom. 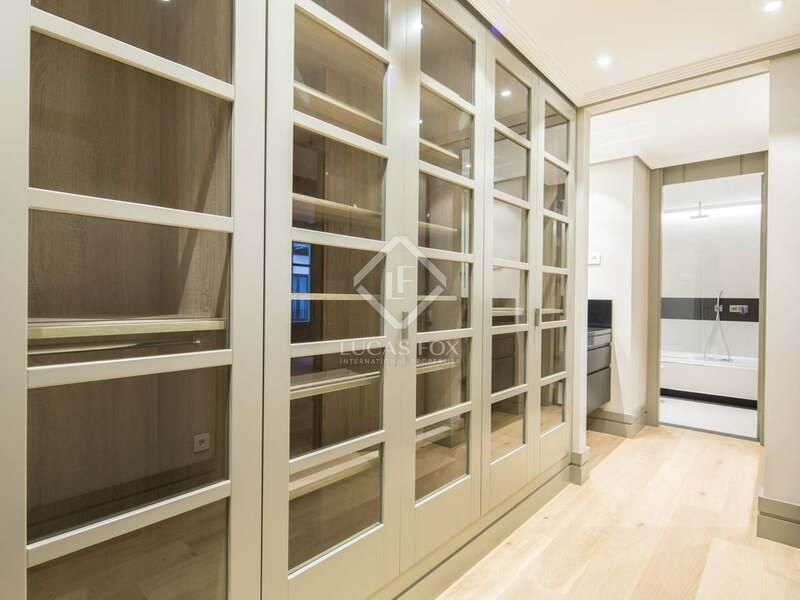 The apartment comes equipped with air-conditioning, underfloor heating and a domotic system. 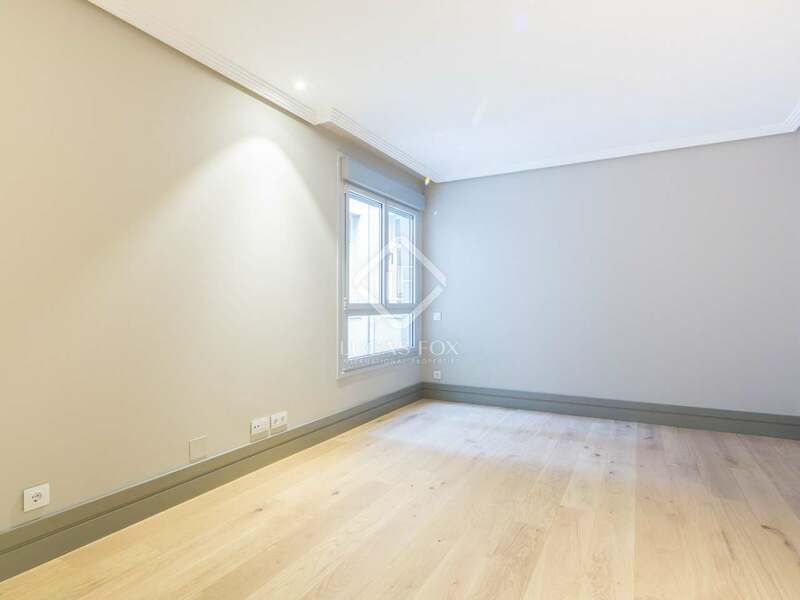 The property is to rent unfurnished, however there is the opportunity to also include a parking space in the same building, if required. 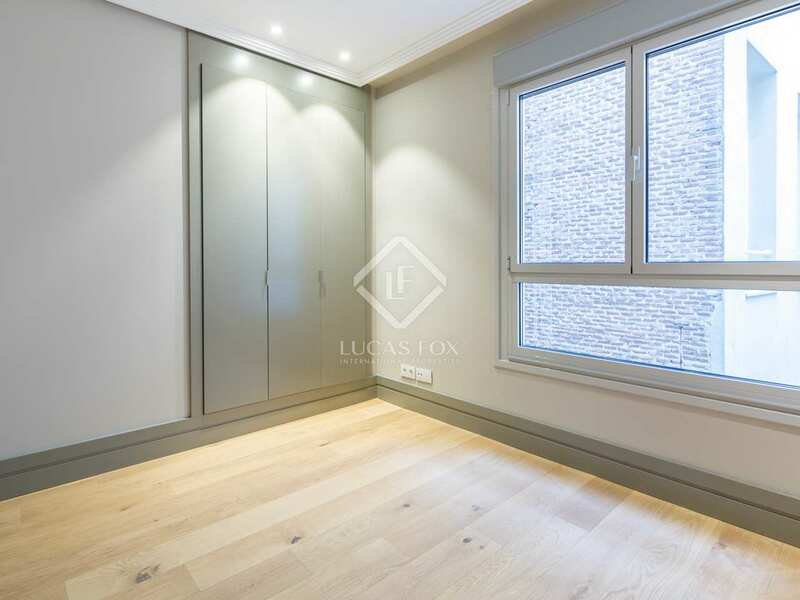 Due to its large bay windows, balconies and being south facing, the property also benefits from an abundance of natural light. 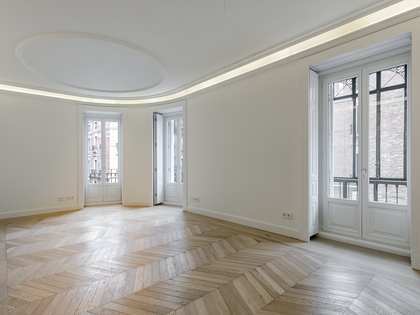 An ideal property for families or those wanting to live in one of the most exclusive residential areas of Madrid. 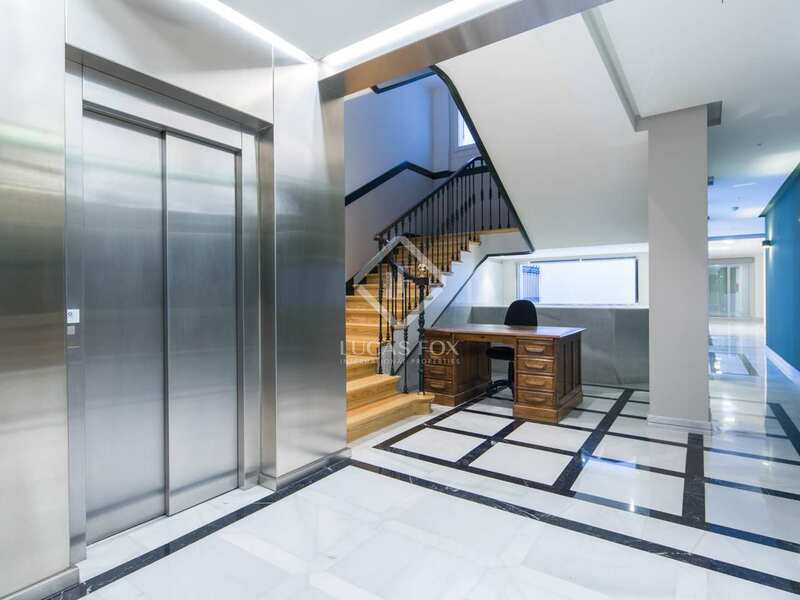 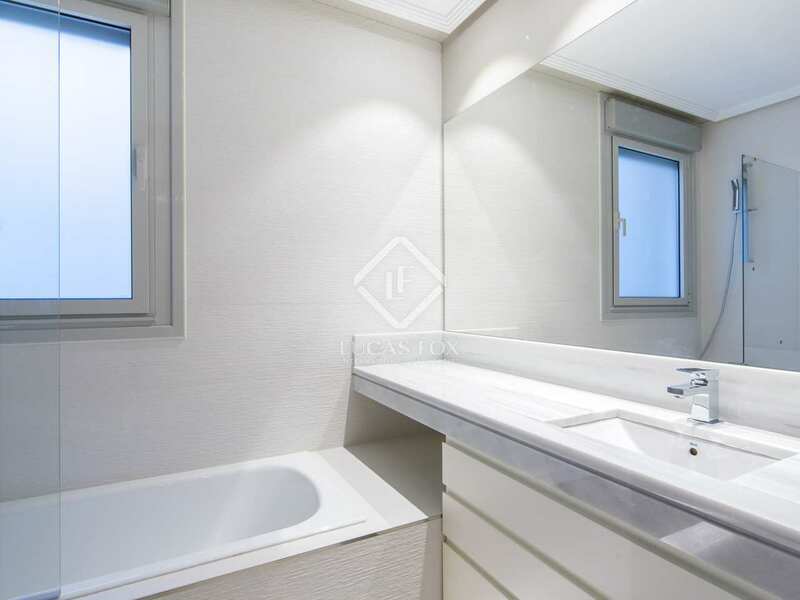 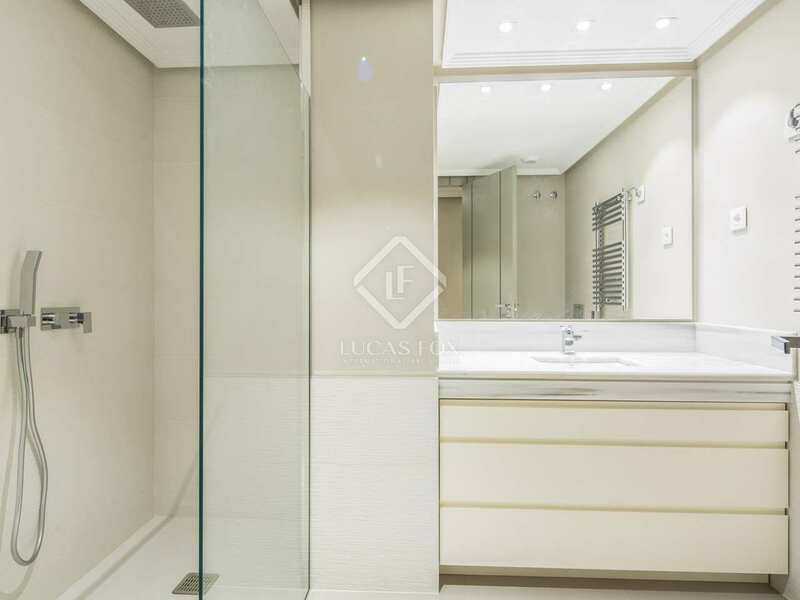 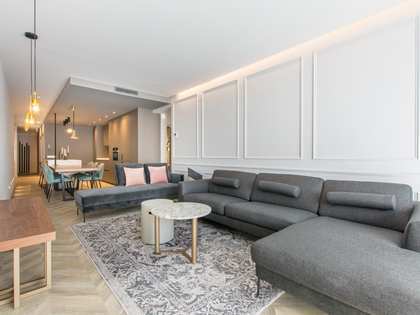 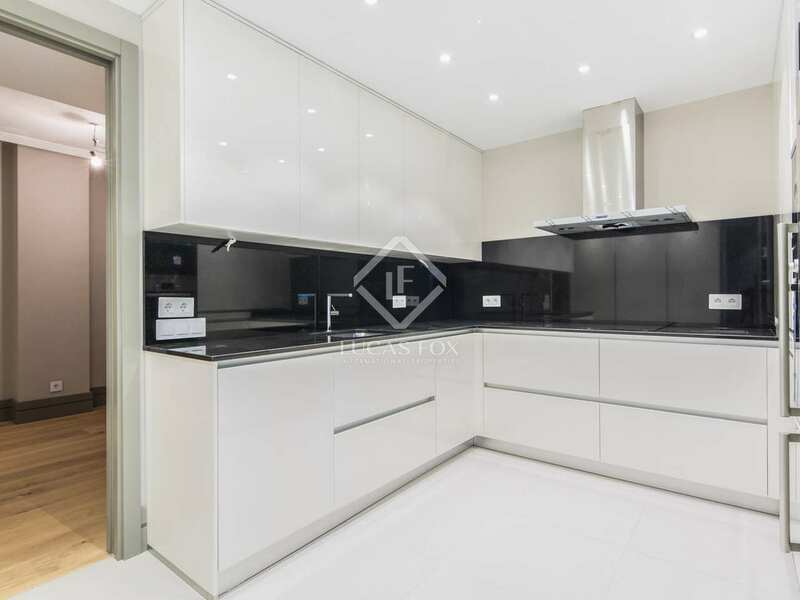 Found in one of the most exclusive and desirable areas of Madrid, the apartment is surrounded by everything that you may need, including museums, high street and boutique shops, supermarkets and restaurants. 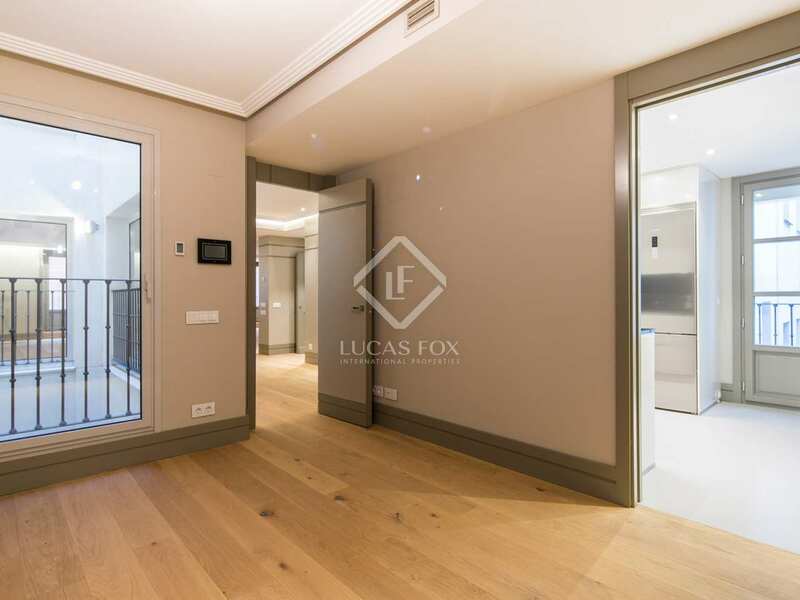 The property is just a few minutes' walk from the beautiful Parque de el Retiro. 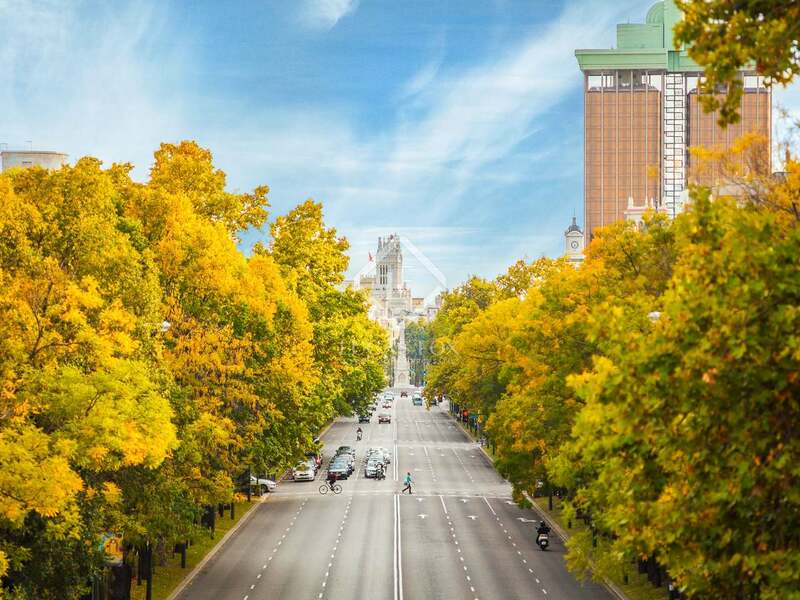 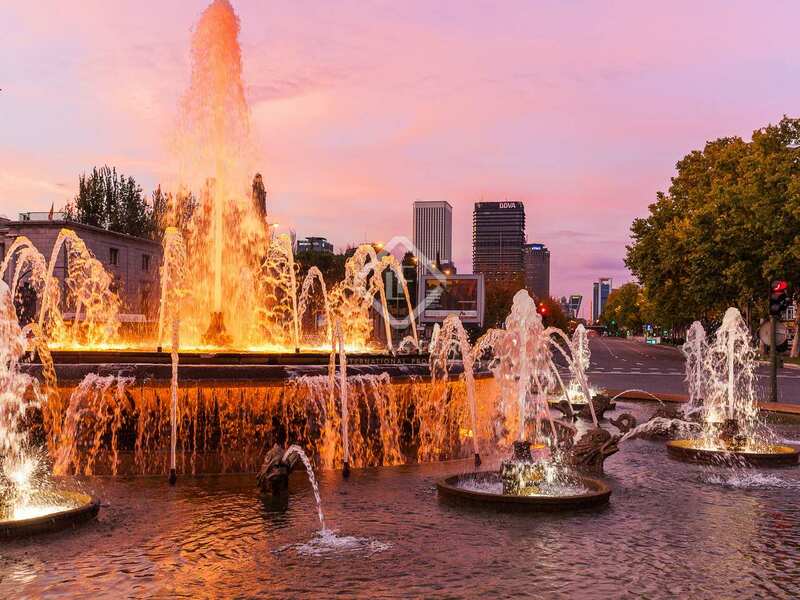 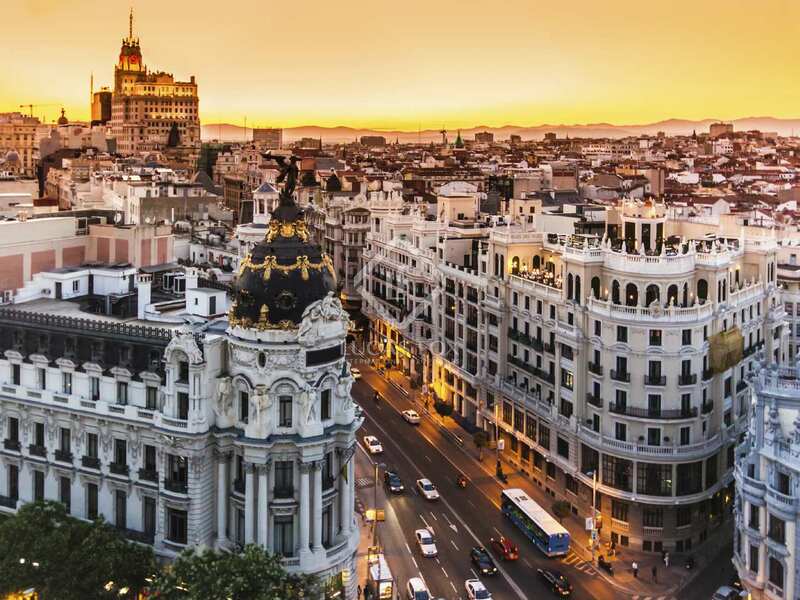 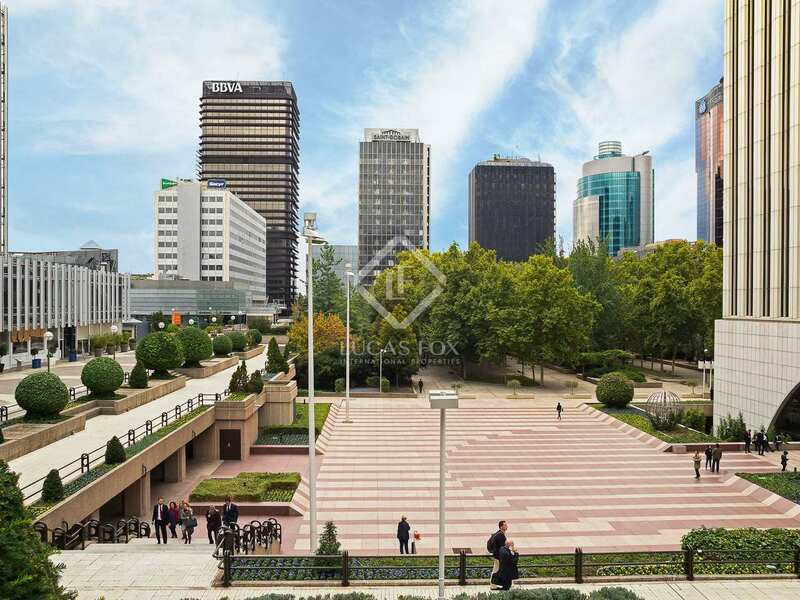 It is also well connected to the rest of the city with both the Banco de España and Retiro metro stops a short walk away.